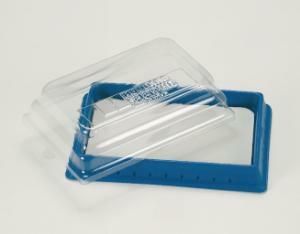 Sturdy and convenient plastic dissection pan won’t rust. The pads are reusable and there is no need to melt sticky wax. When class is over — simply place on the cover and you’re closed up for the day. This pan is perfect for medium size specimens. Size: 30 x 20cm.